Poly weekly planner with pen. Weekly planner with foil stamped 30 pt. poly cover. A durable and practical organizational aid for any professional and a smart, thoughtful promo. Black heavyweight back with elastic pen loop and free dynamic pen. Insert sheet is blank, 100 lb. white tag. Inside sheets are 12 months of week-on-a-page calendar sheets in black ink with space for notes. 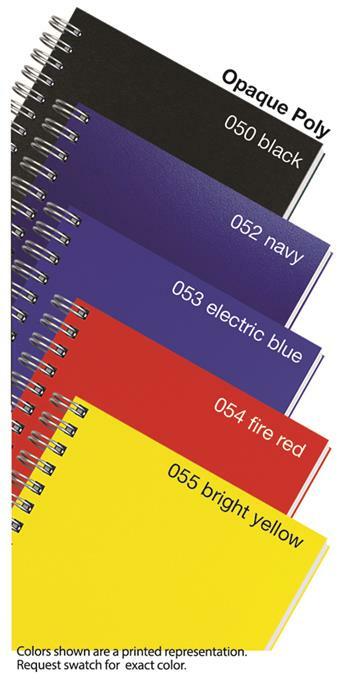 Planner is wire-O bound on its left side with two round corners on cover and inside sheets.